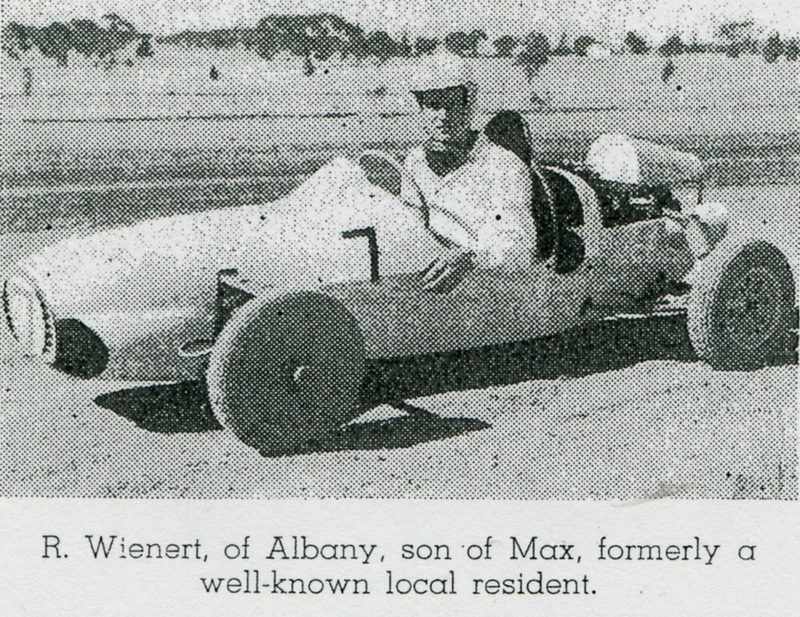 The Narrogin tq Racing Car Club was formed on the 11th of September 1957, The inaugural meeting was held at Meyers Motors in Egerton Street, Narrogin. The club would lapse in January of 1958, but would reform again on the 10th of August 1959, this meeting was also held at Meyers Motors. Narrogin's first Speedway racing circuit was at the Narrogin Greater Showgrounds, to the North of the Towns Football Club ground with the enterance from May Street, this track a 1/5 mile was built in 1959, The clubs first 4 race meetings were held at this circuit on the 25th of October 1959, the 6th of December 1959, the 13th of March 1960 and the 30th of April 1960. Originally built for tq racing only, as time passed an approach was made by some local hot rodders to also race Hot Rods at the site, racing was run in an anti-clockwise direction, this association continued with the tq's also racing around the streets until the exzisting Narrogin Speedway was built on the Williams Road. Malcom Carberry was one of the first competitors to race Hot Rods in Narrogin in his 1938 Dodge sedan. During the 1960's the members felt the need to move from the Greater Showgrounds to a new track site, eventually in December of 1960 the club applied to the Narrogin Roads Board to lease 20 acres of land on the Wickepin Road. After approval had been granted early in 1961 it was decided to develop an oval track, 60ft wide and a quarter of a mile in length, Racing continued at the Greater Showground track untill such time as the new track was built. 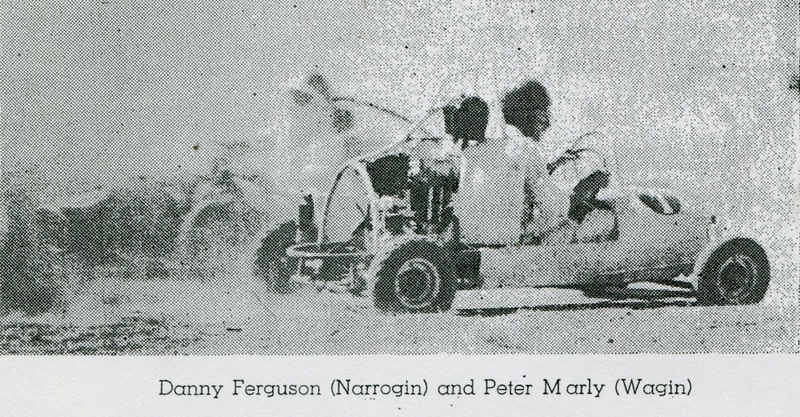 During the early 1960's on occasions such as the Narrogin Agriculture Show and other Gymkana events, Tq racing events were held around the outside of the Narrogin Showgrounds. In 1963 a motion was introduced and carried that the clubs name be changed to the Narrogin 500cc Racing Car Club, also Hot Rods were introduced at a race meeting on the 19th of April 1964, and the Greater Showground track was closed that same month. The track was situated behind the Narrogin Showgrounds just off May Street. at the time the track was built the trotting track was originally around the football oval, the trotting track has since been relocated to cover over the Narrogin Speedway. If it was not for the imformation from Malcom Carbury on the location of the track it may have been lost forever, as Narrogin is a very popular horse racing area there are many old training tracks that are simular to speedway tracks in the area, this is the case with Narrogin the actual track has been consumed by the new trotting track and its dam, the old track next to the trotting track marked out with half burried tyres is an old horse training track, this is often mistaken as the original speedway.